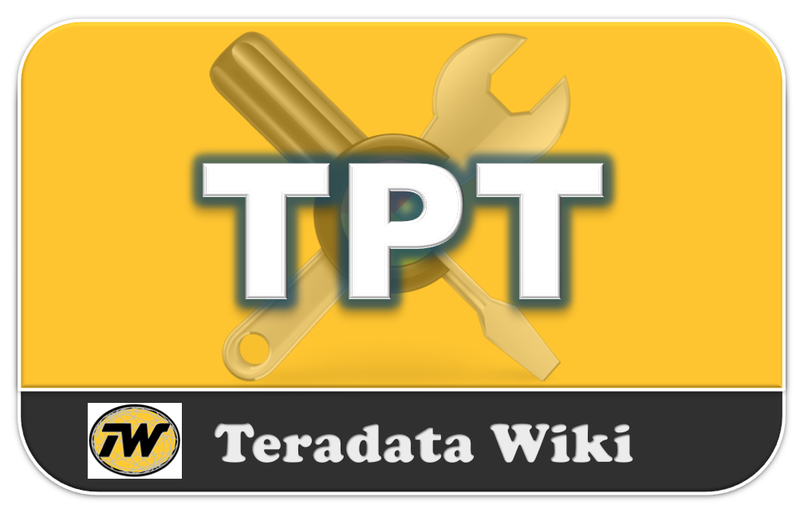 TPT works around the concept of Operators and Data Streams. 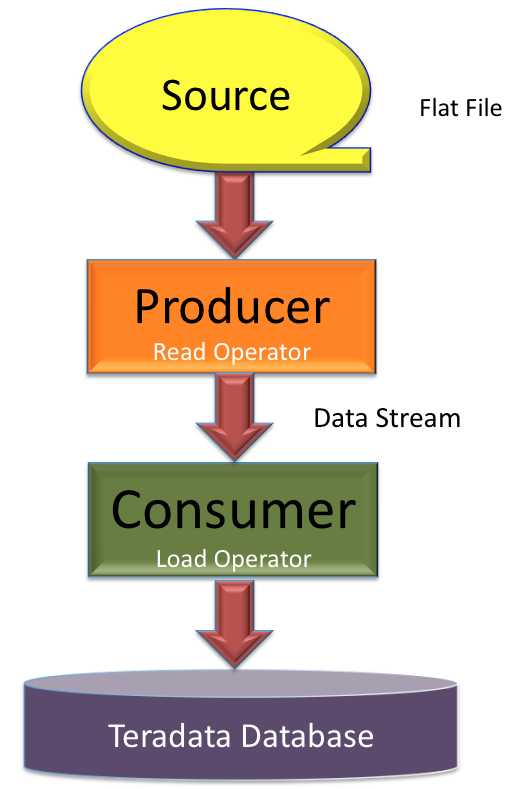 In the following diagram showing you mainly three components. The Producer Operator performs read the Queues, Files, Relational Databases, and Non-Relational Sources. 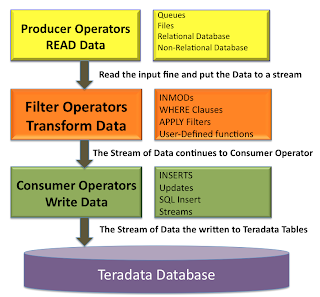 The Filter Operators Transforms data from INMODs, WHERE Clauses, APPLY Filters, and User-Defined functions. 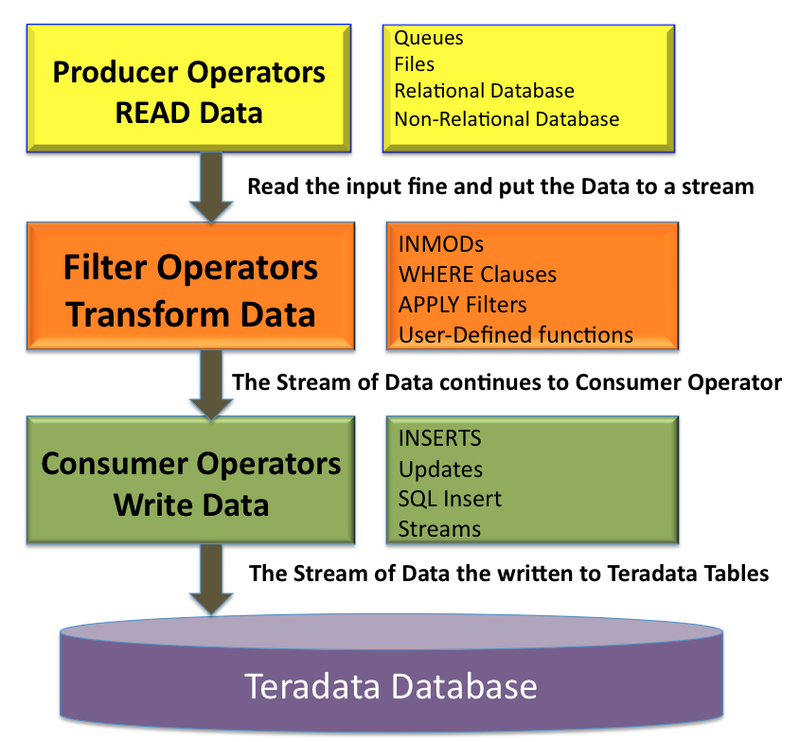 The Consumer Operator performs INSERTS (Load), Updates, SQL Inserts, and Tpump like Streams. TBuild the script name to run. Then run by using TBuild –f command.